Today we went to visit Angela and Elizabeth. 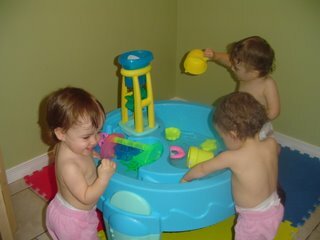 The girl's had lots of fun as everyone can see in the photo's below, playing with Elizabeth's water table. 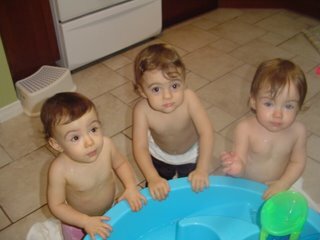 We had to take the girl's shirt's off because of all the splashing they were doing. By the end of it the girl's, Angela and myself, as well as Angela's kitchen was soaked! But they had fun. Elizabeth is another miracle baby. She was born at 25 weeks gestation. I first met Elizabeth and her mom at the hospital about a month after the girl's were born. When I saw how well she was doing for being born so early, I knew then there was hope for Olivia & Avery. For the three months the girl's were in hospital, whenever I would feel depressed, I would think about Elizabeth and remember how far she had come. She is the sweetest little girl. A true miracle. Posted by Miracles at 9:51 p.m.
We really enjoyed having Olivia and Avery over to play. 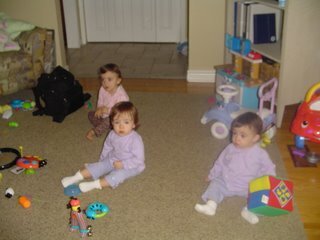 Elizabeth had a great time playing with the girls, she can't wait for the next playdate. You have done such a great job on the girls blog, we have enjoyed seeing the girls progress. 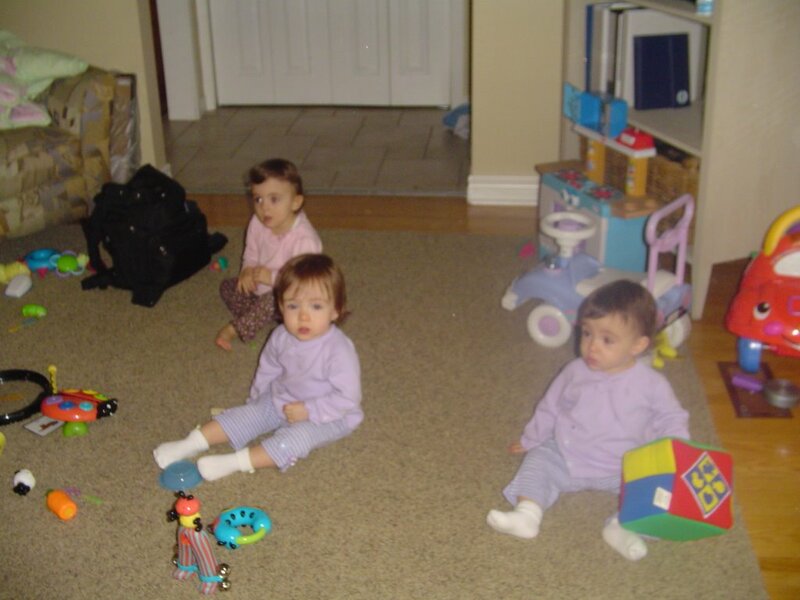 You must be so proud of how well Avery and Olivia have done, they truly are remarkable girls.